In SchoolPoint there are two ways to allow Students and Caregivers to view Course Information without logging in or Making Selections. In your Administration Settings areas, you can Disble Student Login and you can disable publix vieing of course and useful information. Which we don't reccomend either option. you may want to add a note on thei Student homepage in your Useful Information section, that states that Course Selection will be enabled later in the year and that any information is being updated and may change at any time. These are both enabled by default. 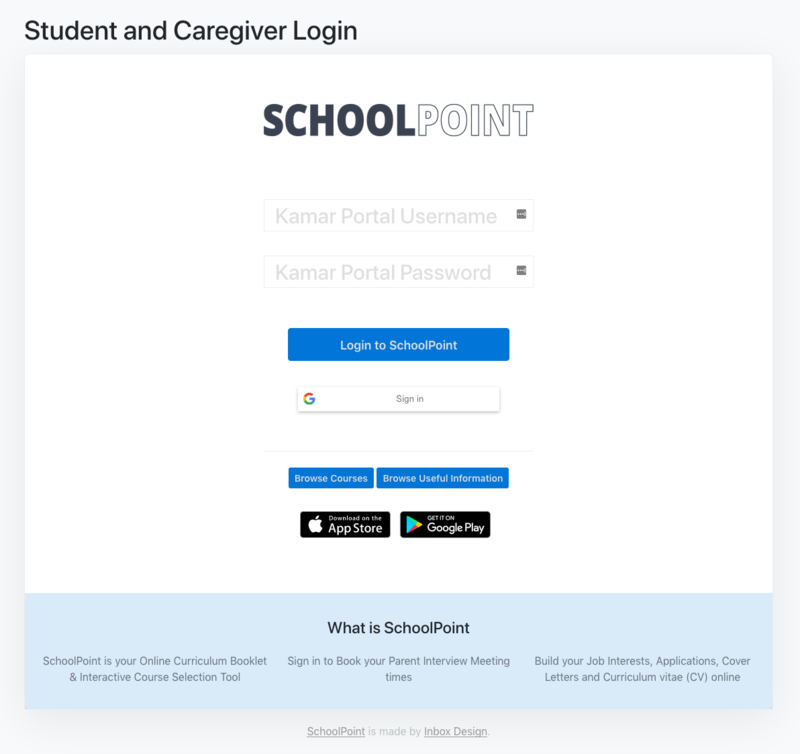 When Students and caregivers reach the login page, they willl see buttons to Browse Course Information, and to Browser Useful Help Information. These pages are good for new students looking at your schools curcillum and for existing students and caregivers looking and planning for next year. In the settigns, you should disble each year level from making any selection chnages. This is done in your SETTINGS area against each year level. This will mean that students and caregiver can see all information, and Favourite courtses to staty their planning, but won't effect their selection choices. Student's favourite choices can be seen by the Students and Caregiers, and can be exported in the admin for future planning.